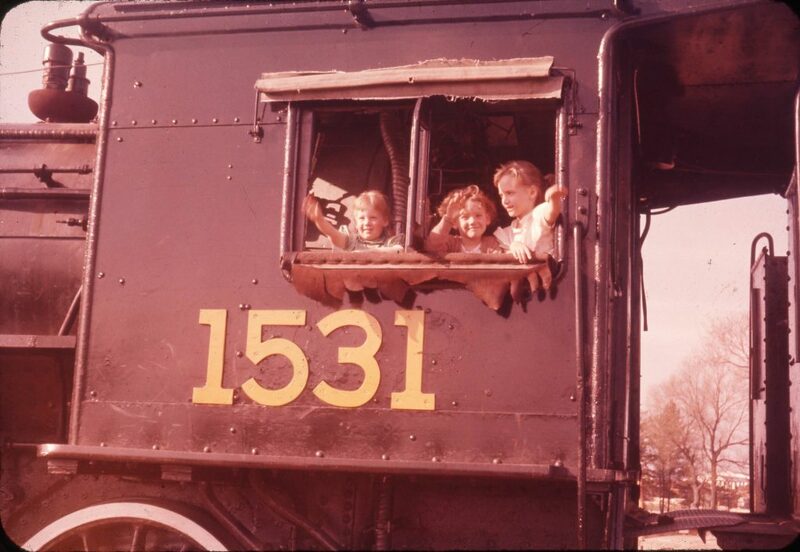 Young children pose inside of steam engine 1531 when it was on display at the end of Vespra Street near Dyment’s Pond. Home/Young children pose inside of steam engine 1531 when it was on display at the end of Vespra Street near Dyment’s Pond. Tags: Children, Dyment's Pond, Steam Engine, Vespra Street.